One of the more popular open source audio applications, Audacity, has recently upgraded to version 2.0 and is now no longer in Beta. Available to download from Sourceforge, Audacity has some great multi-track editing and various audio cleanup tools and effects that can be used to deliver great results. However, despite the facility to save your audio in a number of different formats, Audacity doesn’t natively allow you to export data as MP3. Before we get going, let’s consider the various uses for MP3. 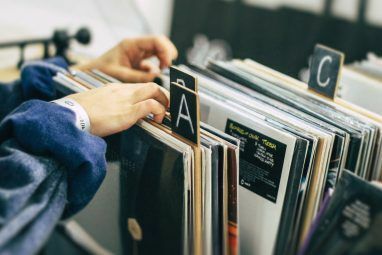 While some fans of lossless formats might think that it is a format with a limited lifespan, the same is true of most formats. MP3, however, is widely used in so many ways, from downloading music from online stores to mobile ringtones. You’ll find MP3 files on set top boxes, in some DVD menus and even in video games. While it doesn’t have the same depth of quality as, say, FLAC, MP3 remains the favored choice of billions, so in order to make your audio recording in Audacity as accessible as possible (whether by others or if you plan on listening on multiple devices) MP3 is the choice to use. But MP3 export isn’t natively available in Audacity. Why? Available from audacity.sourceforge.net/download, Audacity 2.0 suffers from the same shortcoming as its previous, beta version – you cannot export your sound file in the hugely popular MP3 format. There are a couple of reasons for this, most notably that MP3 is proprietary, and any software used to create an MP3 file must be licensed. Fortunately, Audacity gets around this by employing the LAME software to encode MP3s. However due to the way in which MP3 encoding is licensed worldwide, a fee might have to be paid in some countries. This is why native MP3 exporting is not included. Then again, not everyone needs MP3. Other formats such as FLAC are becoming increasingly popular thanks to their lossless sound quality, which is superior to that of MP3. However, MP3 remains the de facto sound format choice for most users. When exporting an MP3 file, it is important to do it in the right way. It’s all too easy to click an export button, select the MP3 file and let the “fire and forget” mentality take over. However, MP3 files should contain certain data beyond the audio track. For successful indexing of the file – information such as track name, artist, album, etc. – your MP3 file should have the ID3 metadata added. You will then find that the exported MP3 file can be easily recognized in media player software and devices. In Audacity, this data can be input by opening File > Export selecting MP3 as the file type and setting a file name, clicking Save and then completing the displayed fields. When you use the File > Export option to attempt to save your track as MP3, you will only get so far before the software informs you that it needs lame_enc.dll. In order to create MP3 files with Audacity, you will need to add the LAME library to your computer. Fortunately this is very simple. After installing Audacity, head to lame1.buanzo.com.ar and download Lame_v3.99.3_for_Windows.exe (note that playing MP3 files is not an issue with this software). Save this to a safe location on your PC and run. After installation (the default location is C:\Program Files\LAME for Audacity) switch back to Audacity and use the Export option to create a new MP3, add the ID3 tag data and then use the Browse option in the Locate Lame dialogue to find the lame_enc.dll file in the installation folder. Click OK to continue and watch as your MP3 export is created! 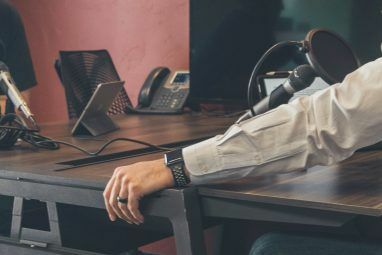 While the process of adding the codec and exporting the MP3 file might seem pretty straightforward, there are so many files out there that fail to give the full, necessary information to users. 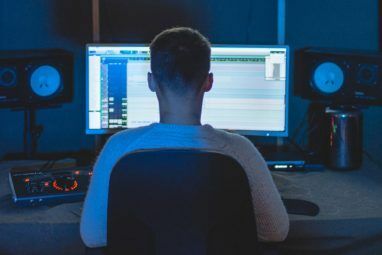 With the export system in Audacity you can add all of the correct ID3 tag data to your MP3 file, particularly useful if you are using this software to edit podcasts, your own compositions or other audio projects. Of course, the best thing about all of this is that there is a free and open source way to create, edit and export your own MP3 files! Explore more about: Audacity, Audio Editor, MP3. I would like to know for a commercial product , do we need to buy the license even if we just need to convert it to another format, such as wav? I was playing and recording a lecture and did the exactly steps that you mentioned and exported my recording to a MP3 file successfully. The recording is an hour and 8 minutes long and the MP3 file is 64MB big, so big that I can't even email it via gmail (max 25MB). Is it sounds right to you? A friend of my email me a MP3 file with a similar length and the file is only 7 MB big. Whether using Winamp Standard of Winamp Pro it can be very helpful for Audacity since you can make use of its "lame_enc.dll" accessing this path: "C:\Program Files\Winamp\Plugins\lame_enc.dll" . So if you have Winamp already installed Audacity can benefit for free from a proprietary plugin an so you'll be able to export your files as MP3 files with no extra cost! To be honest, Audacity isn't the best program for this. There are much more professional tools. So what would you recommend, Kelvin?